RETRO 66: Re-Live the Route hasn't added a story. 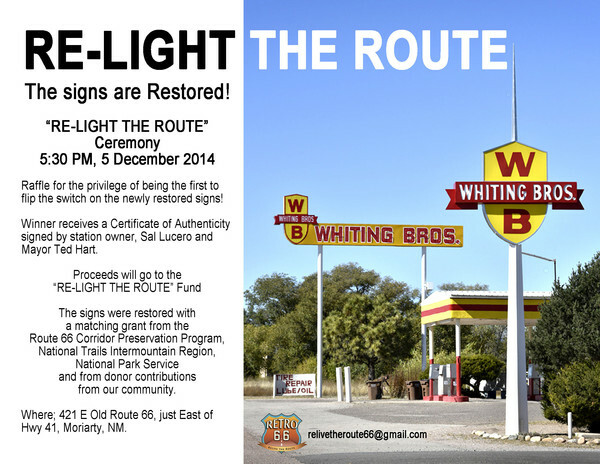 RETRO 66-Re-Live the Route is a 501c3 non-profit Route 66 Revitalization Project. We are a completely volunteer organization. 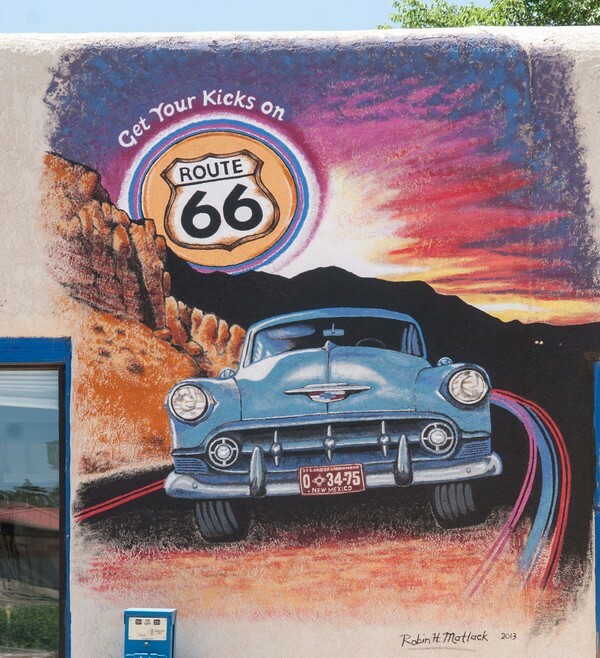 Our Purpose is to identify, develop, and promote our areas resources, history and uniqueness to create an enriching and authentic Route 66 visitor experience. 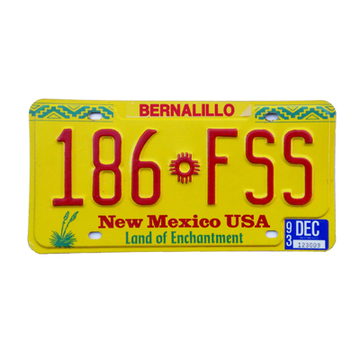 The purpose of this fundriser is to construct a 45' long and 13 1/2' high wall of license plates on Route 66 (NM333) in New Mexico with the map of the route embedded in turquoise license plates customized designed by you. We estimate the cost of materials to be around $3,000 for poles, support lumber, backboard, hardware, liquid nails to secure the plates and the rental of backhoe, power tools and scaffolding. Our appreciation to the New Mexico Motor Vehicle Department who donated the license plates. 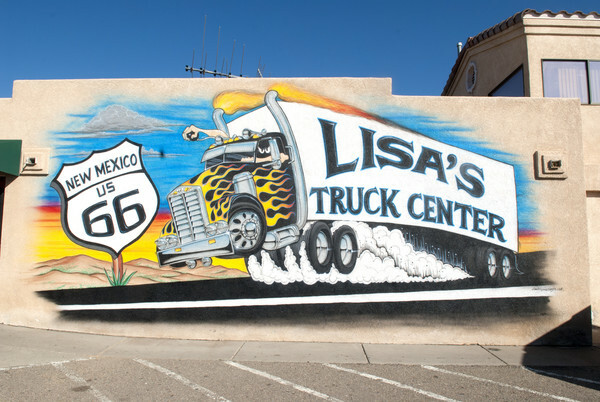 Additional funding received will go towards construccting a solar powered Route 66 Interpretive Center and Museum inside the 45' long trailer. 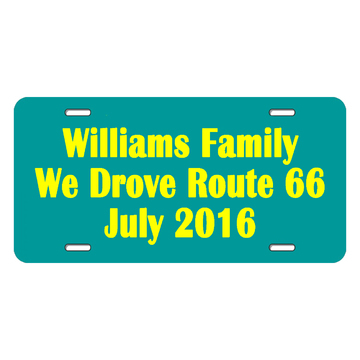 Your customized turquoise plate will be installed on this wall regardless of the number of plates purchased however, only the first 66 will be on Route 66. The others will be placed around the perimeter. The License Plate Memorial Wall trailer will be Home-Based at Bob Audette's historic property at the corner of Hwy 217/Mountain Valley Road on Route 66 West of Edgewood New Mexico. Bob has been called the, "Guardian of the Route" due to his many efforts to preserve the history and monuments along the route. Your donation will help make this project a reality and help carry on Bob's committment to the Route. $Any Amount-Just want to help for no perk? Donate here if you want to support the vision of RETRO 66 and don't want a Perk. $25-For a $25 donation you will sponsor one background yellow New Mexico License plate. Next to The Wall we will place a plaque with the names of all sponsors and the plate they sponsored. You will receive an email with a photo of the plate you sponsored. Be sure to include your name and email when you donate. $100-Your $100 donation will get you a customized 12"x6" turquoise license plate along the New Mexico Route 66 on the wall. See above image. Email your design or text to; relivetheroute66@gmail.com. We will take it from there. $125-BUSINESSES-A $125 donation is for businesses. 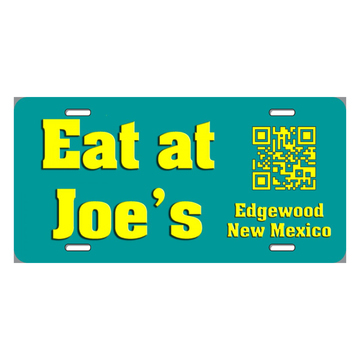 You may wish to include a QR Code on your plate to link customers directly to your web site or Facebook page on your customized turquoise license plate. EMail your design or text to; relivetheroute66@gmail.com. We will take it from there. Restored the neon signs at the last remaining, still operational Whiting Bros. gas station on Route 66 in Moriarty New Mexico with a National Park Service Grant. between Edgewood and Moriarty New Mexico. 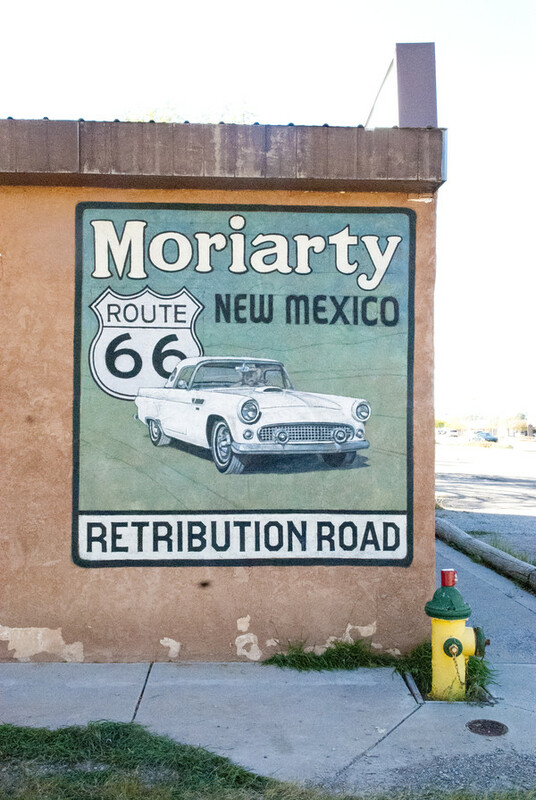 Painted five murals in Moriarty New Mexico. New Mexico MainStreet Program funded project. 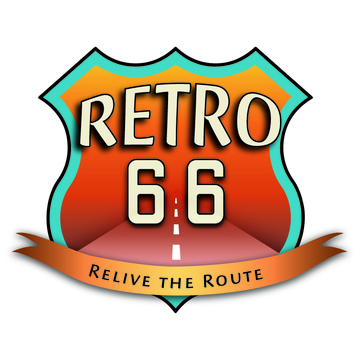 RETRO 66: Re-Live the Route hasn't posted any updates yet. Just want to help for no perk? Donate any amount just because you believe in what we are doing to continue RETRO 66's Purpose. For a $25 donation you will sponsor one yellow New Mexico License plate that's in the background of The Wall. We will place a plaque next to The Wall with the names of all sponsors and the plate they sponsored. You will receive an email with a photo of the plate we selected for you to sponsor. Be sure to include your name and email when you donate. INDIVIDUALS-Your $100 donation will get you a customized 12"x6" blue license plate along the New Mexico Route 66 on the wall. See above sample image. Send your design or text to; relivetheroute66@gmail.com. We will take it from there. 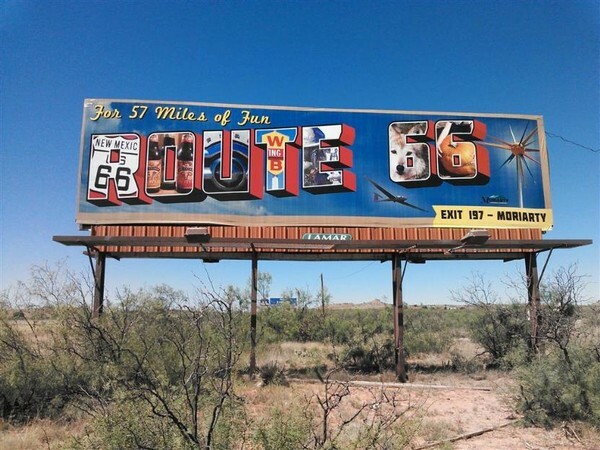 Only 66 blue license plates will be placed on Route 66 map on the wall. Any additional blue plates donated will go around the perimeter of the wall. For Businesses-Add a QR code or? BUSINESSES-A $125 donation is for businesses. You may wish to include a QR Code on your customized plate to link customers directly to your web site or Facebook page. Send your design or text to; relivetheroute66@gmail.com. We will take it from there. 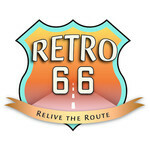 RETRO 66: Re-Live the Route is managing the funds for this campaign.